This years Copenhagen international literature festival Cph Interlit had a Chinese theme arranged in collaboration with China Writers Association, and thus I was fortunate enough to attend this brief interview with three of China’s foremost writers and poets; Xi Chuan, Fan Wen and Wang Gang. The following is published with their consent. 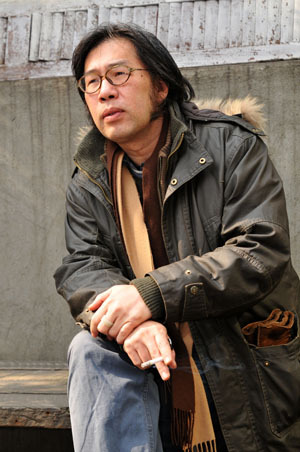 Author of 蚊子志, translated as Notes on the Mosquito by Lucas Klein in 2012.
on STYLE: Earlier I wrote lyrical poems, now I just write texts embodying something not poetic. It’s more like poetic notes. I call it ‘poessay’ (散文诗), because it’s somewhere between poetry and essay. on CHINESE AND EUROPEAN LITERATURE: I once met Doris Lessing. She asked me about the Cultural Revolution and I in turn asked her about European literature. She said that after 1989 it had become less experimental because of the need to deal with real social problems. I also feel that I can’t follow others, but my work has to relate to reality even if that reality is a disaster. on TRANSLATION: When I translated the Polish writer Czeslaw Milosz, I didn’t use a dictionary, instead I asked my Polish friends whenever there was something I didn’t understand. Author of 水乳大地, a trilogy on Catholics in Tibet, translated as Une Terre de Lait et de Miel by Stéphane Lévêgue 2013. I write about Tibet out of love. 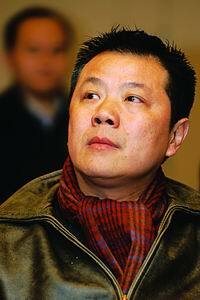 For most Chinese people it is a place of dreams, and thus a fitting pursuit for a writer. When you write about Tibet, you have to write about religion. Buddhism permeates the Tibetan society, so you have to get to know Buddhism in order to understand Tibet. My work was translated into French because the area I write about has connections to France. During the period 1850-1950, 15 missionaries were killed in Tibet. I don’t know how my books have been received in France, because I can’t read French. But my publishers think they help remind the reader about a part of history forgotten by Chinese and French alike, but which none the less is meaningful and valuable. It’s hard to say who are good and bad in the novel, the French or the Tibetans. It’s more complicated than that. Tibet was Dalai’s land, so when the missionaries entered, there was a conflict. We cannot decide who is right and who is wrong. Everyone fights to protect their own religion. Author of 英格力士 2004, translated as English by Martin Merz and Jane Weizhen Pan. My novel is set during the Cultural Revolution. It is about a boy who has little opportunity and little interest in studying and learning new languages. One day an English teacher from Shanghai is sent to Xinjiang as a punishment, and he and the boy become friends. At this time there is only one English dictionary in all of Xinjiang’s capital. There is also a beautiful female teacher who once a week visits the public bathhouse followed by the boy, who spies on her showering. The English teacher is however in love with the female teacher, and the story turns out to be sad and terrible because in the end the boy and his parents help send the English teacher to prison. The boy feels guilty for sending his friend to prison. Certainly I write to remind people of the terrible Cultural Revolution, but also to show how it was experienced by a child. It is an admittance of guilt. Too many Chinese today won’t recognize their own part in the Cultural Revolution. I want to arouse their memory because if we forget, then maybe it can happen again. I am afraid of that.